Carduus is a genus of about 90 species of thistles in the family Asteraceae, native to Europe, Asia and Africa. Carduus is the Latin for a thistle (qv cardoon). 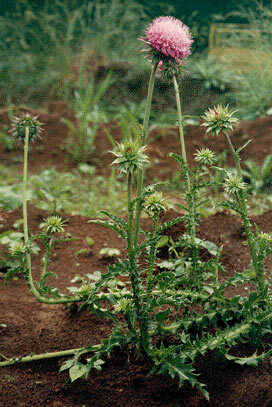 Carduus species are used as food plants by the larvae of some Lepidoptera species including Coleophora therinella. Cardonnacum, derived from carduus, is the Latin for a place with thistles. This is believed to be the origin of name of the Burgundy village of Chardonnay, Saône-et-Loire, which in turn is thought to be the home of the famous Chardonnay grape variety.